Compassion centers usually stock up to 20 strains of cannabis. The efficacy of cannabis is directly related to strain selection and cannabinoid profiles. Care should be taken in selecting appropriate strains to meet specific needs. By using a high potency cannabis, the dosage required to obtain needed effects is automatically reduced. Also, side-effects and related monetary costs are also lessened. If you find yourself developing a tolerance (needing to smoke greater quantities to achieve the desired effect), reduce or stop intake for a time. Changing the variety of cannabis normally used will also help you to return to a minimized, effective dose. There are two main families of cannabis: Indica and Sativa. It is from these two families that the hundreds of different cannabis strains originate. Some strains are pure Indicas, some are pure Sativas, and others are hybrids of the two. Each strain of cannabis contains a different ratio of cannabinoids (called a cannabinoid profile), giving each a unique therapeutic effect. Effects of Indicas are predominantly physical and sedative, althought a few strains may have a more pronounced psychological effect. These benefits are particularly helpful for those seeking pain-relief and muscle-relaxing effects. 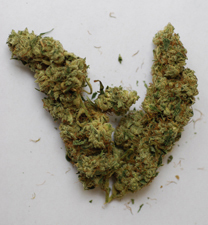 Indica varieties, they are best used for non-active times of day, or before bed. The primary effects of Sativas are on the mind and emotions. These benefits can be particularly helpful for the psychological aspects of many illnesses, giving people an increased sense of well-being. 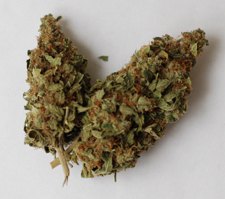 Due to the stimulating nature of Sativas, they are generally better for daytime use. People experiencing heightened anxiety, or those with mental health conditions should use caution with Sativa-dominant varieties. Hybridized strains are created through selective cross-pollination of different cannabis varieties. In crossed varieties, the characteristics and effects of one strain will usually be dominant. An Indica-dominant cross will be effective for pain relief, with the Sativa component helping with energy and activity levels. A Sativa-dominant cross will be helpful in stimulating the appetite, with the Indica component increasing muscle relaxation. All strains of cannabis will increase appetite and reduce nausea, though it is reported that crosses are most effective. Cannabis contains a group of chemical compounds called cannabinoids, which are not found in other plants. Over 60 different cannabinoids have been identified, but their exact role and importance has yet to be completely understood. Each strain of cannabis has it's own ratio of cannabinoids, which together work synergistically to provide it's therapeutic effects. THC is the most abundant cannabinoid and it is the principal psychoactive agent in cannabis. THC has analgesic, anti-spasmodic, anti-epileptic, anti-tremor, anti-inflammatory, appetite stimulant, euphoric, hypotensive, anti-depressant, bronchiodilating and anti-emetic properties. However, THC may cause anxiety. A cannabis with a strong therapeutic effect will have a THC content anywhere between 8% and 18. 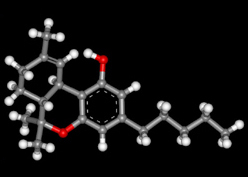 Cannabidiol (CBD) is another main cannabinoid. CBD mitigates the psychoactive effects of THC, it also has anti-inflammatory, anti-convulsant, anti-psychotic, anti-oxidant, neuroprotective and immunomodulatory effects. CBD does not cause a "high" and its presence may reduce some of the potentially unwanted side effects of THC. Cannabinol (CBN) is a mildly psychoactive degradation of THC. 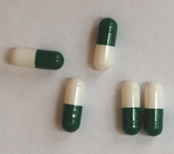 Its primary effects are as an anti-epileptic, and to lower intra-ocular pressure. Cannabichromene (CBC) promotes the analgesic effects of THC and acts as a sedative. Cannabigerol (CBG) has sedative effects and anti-microbial properties as well as lowering intra-ocular pressure. CBG is the biogenetic precursor of all other cannabinoids. There are several different ways to use the cannabis plant in order to attain its therapeutic benefits. Each of them may be more effective for certain symptoms, and certain circumstances, and each can be done in a manner that promotes its safety and efficacy. Smoking is the easiest way to find the appropriate dosage, since the effects are usually felt within 30-60 seconds, and develop fully within 5-15 minutes. The effects may last from 30 minutes to 5 hours. It is ideal to smoke as little as possible in order to reduce respiratory irritation. We recommend you take 1-2 puffs and wait 15 minutes in order to find the right dosage. Increase dosage as necessary. 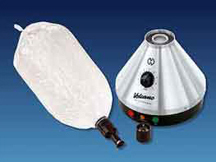 Vaporization is a process whereby cannabis is heated to a temperature below the point of combustion, but high enough to evaporate the active components. Vaporization offers the dose titrating advantages of smoking, while eliminating the harmful bi-products (tar & carcinogens) created during the combustion of organic material. Generally, vaporizers that pass hot air through the herb material and collect the vapour in a receptacle are most effective. Cannabinoids can be extracted into fat, butter or oils and then ingested. The effects of ingested cannabis may be felt within 30 minutes to 2 hours, depending on metabolism, and may last from 2-8 hours. Effects of ingested cannabis tend to be much more pronounced than smoked cannabis, both physically and mentally. 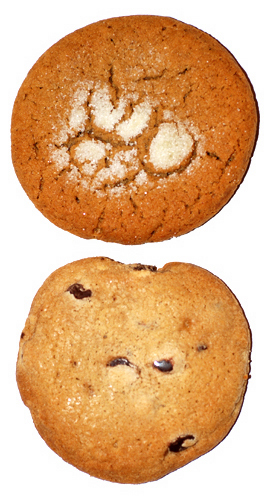 Effects vary depending amounts and strain used in the preparation. An elevated dosage, though not lethal, can be very uncomfortable (i.e. vomiting, panic). Therefore it is important to take care in finding the right dosage. Small amounts should be ingested, and it is recommended to wait 2 hours before increasing the dosage gradually, if necessary. Cannabinoids can also be extracted into alcohol and made into tinctures. Tinctures may be swallowed, dropped or sprayed into the mouth to be absorbed by mucous membranes. The effects of tinctures are comparable to those of baked goods- taking effect within 30 minutes to 2 hours and lasting approximately 4 hours. Start with a few drops or sprays of tincture and wait an hour before increasing dose. The Cannabrex capsules are another way of ingesting cannabis using powedered cannabis resin, activated and extacted in oil. The effects resemble those of baked goods and may vary depending on the strains used to prepare them.  Cannabis may cause a slight reduction in blood pressure when rising rapidly to one's feet, one may feel mildly dizzy.  The initial rise of blood pressure and/or heart rate may be problematic for people suffering from heart conditions or anxiety .  Coodination, cognitive processes, as well as short-term memory may be affected when using cannabis.  If any, withdrawal symptoms are mild when reducing or ceasing cannabis use. In some cases, patients may feel irritable, have slight nausea and energy loss in the first days without taking the medicine.  Effects vary depending on the indivudual. Cannabis may hinder your ability to operate vehicles or machinery. Cannabis should not be taken with alcohol, for effects amy be amplified and lead to nausea. Cannabis grown with high-quality nutrients, organic or other, will help avoid potential toxicity, especially important for people with weakened immune systems. ayant un système immunitaire affaibli. NEVER smoke wet cannabis. The stems must crack when bent. Always buy well-grown, well-cured, mold free marijuana.